There are few things as satisfying as making something yourself from scratch and being able to display it in your home, whether it’s painting, sewing or drawing. 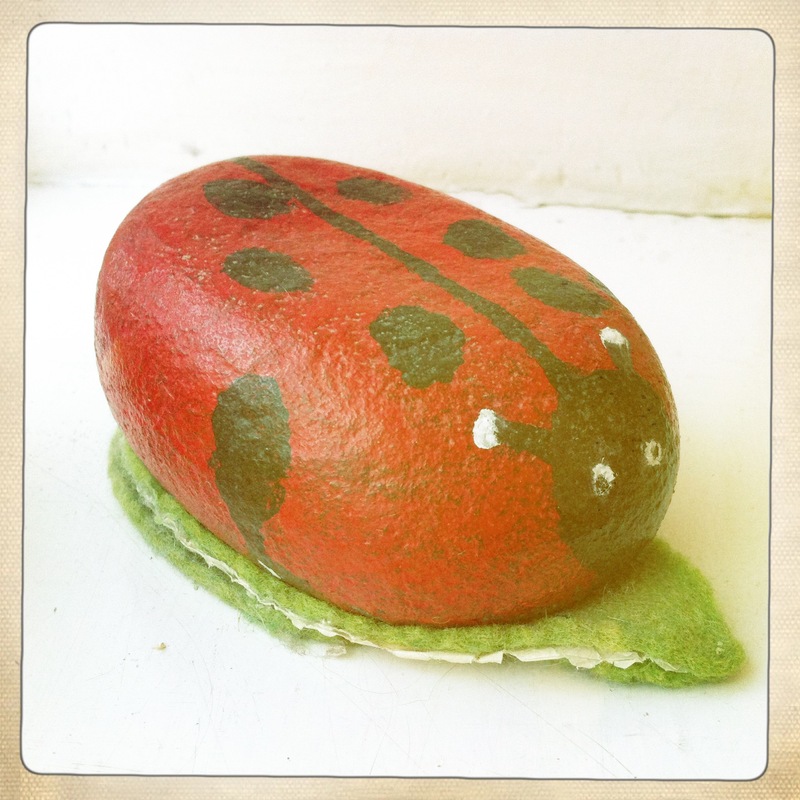 I love all sorts of arty, crafty things – painting, drawing, sewing, stitching, making jewellery and cards – if it’s arty I will give it a go and will probably enjoy it, even if it takes me a while to get the hang of it! Consequently, a corner of my sitting ‘room’ has been taken over by sewing baskets and piles of fabric, craft books, balls of wool and painting materials. 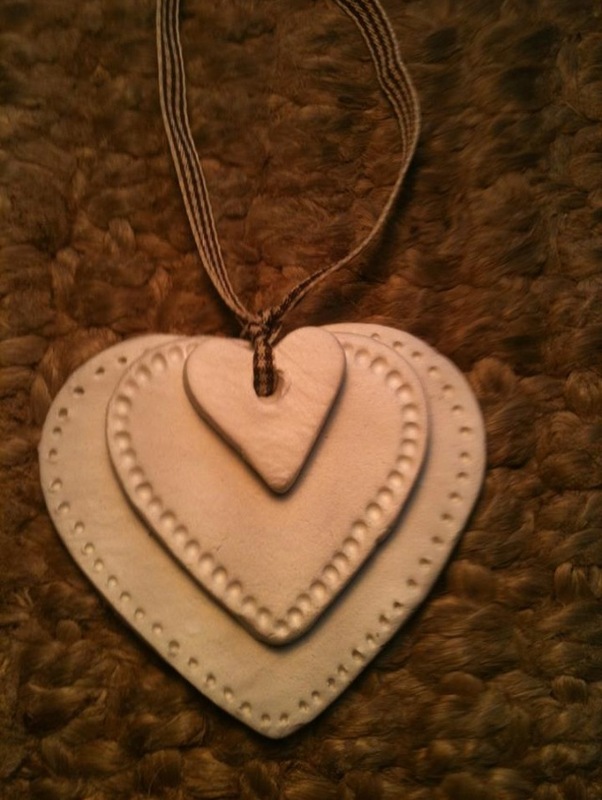 On this page I will share different craft projects that I am working on and different ideas for hand-made crafts to give your home that personal touch. 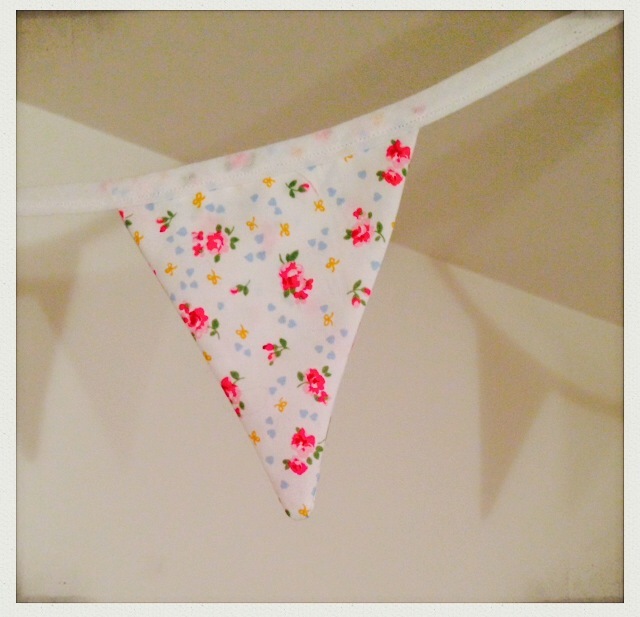 Bunting is a quintessentially British decoration; it speaks of vintage tea parties and good old-fashioned celebrations. 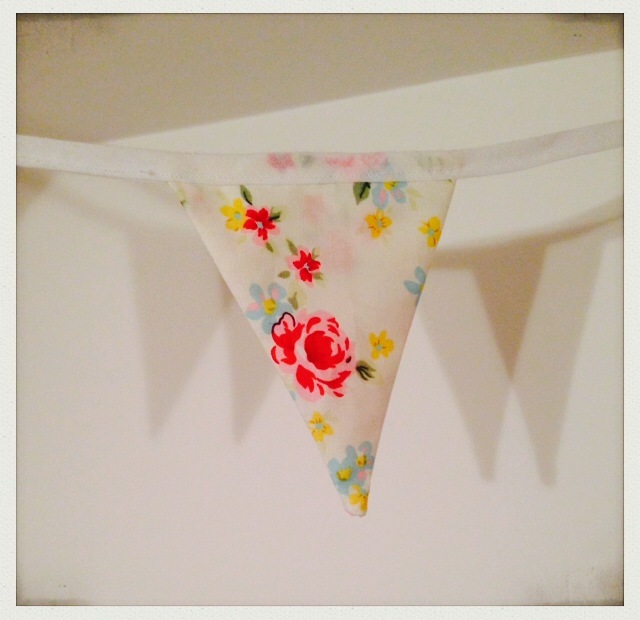 It will brighten up any corner and will bring a bit of pretty nostalgia to any room. More than that, it’s ridiculously easy to make! You will need a range of different fabrics, bias binding, fabric scissors and a sewing machine (you can stitch them by hand, but it’s much quicker with a machine. If you’re not very confident with a sewing machine, this is a great starter project). 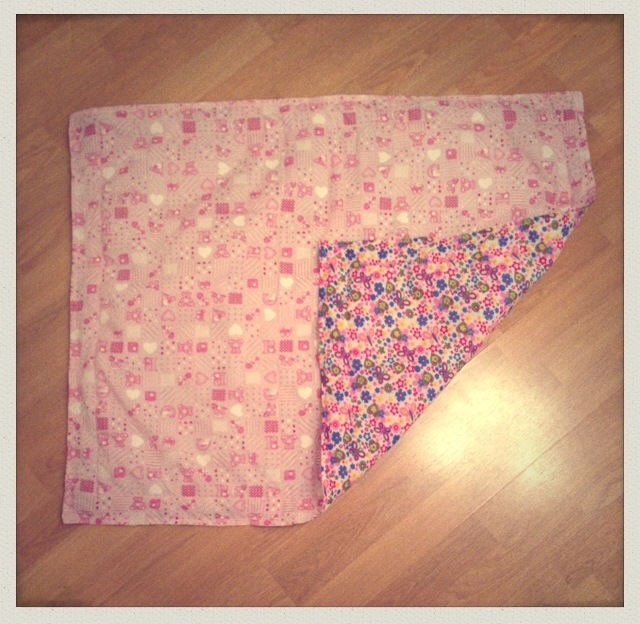 Cut the fabric into triangles measuring 15cm across the top and 15cm from top to bottom tip. 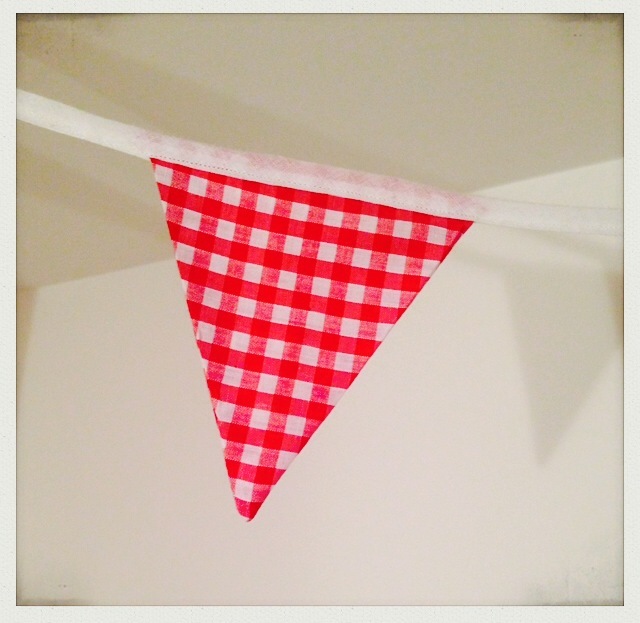 Cut 2 triangles for each bunting triangle that you want to make. Pin right sides of a pair of triangles together and machine stitch the two lengths, leaving the top unstitched. Snip the very end off the triangle, to ensure a sharper point. Turn the triangle inside out and use a pair of scissors to push the point of the triangle out. Repeat for all triangles and then iron each triangle flat. 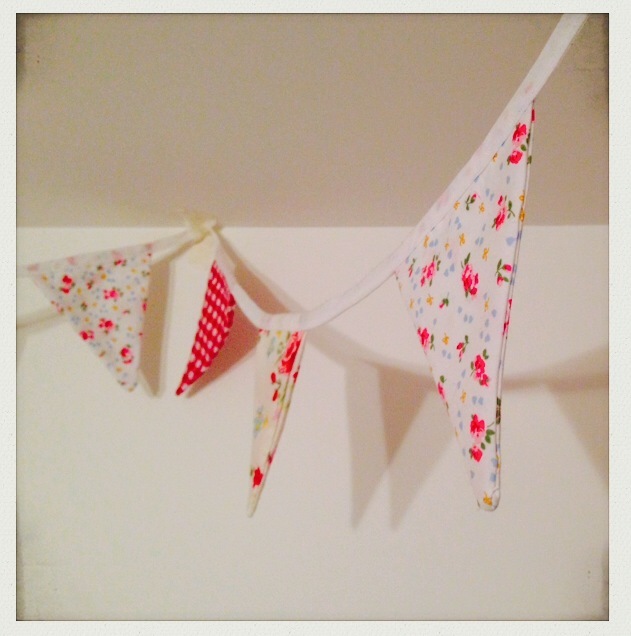 Pin each bunting triangle to the bias binding, spacing them equally apart, then machine stitch with a simple running stitch. 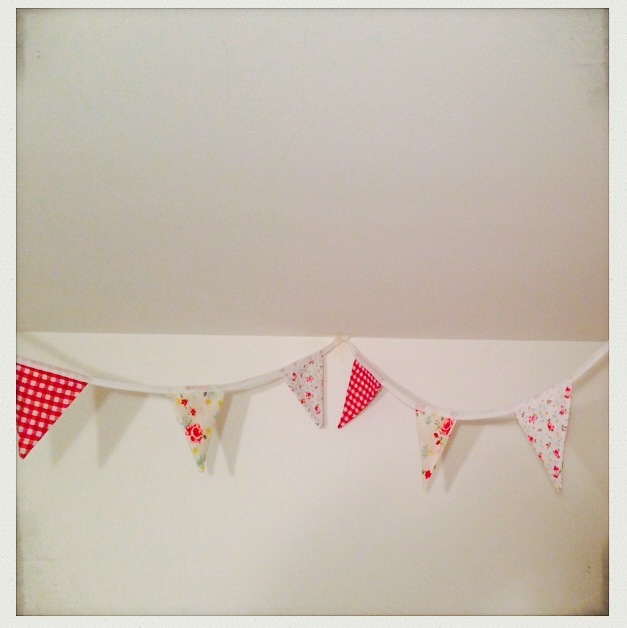 An alternative and really simple way to create bunting is to use up old patchwork squares. 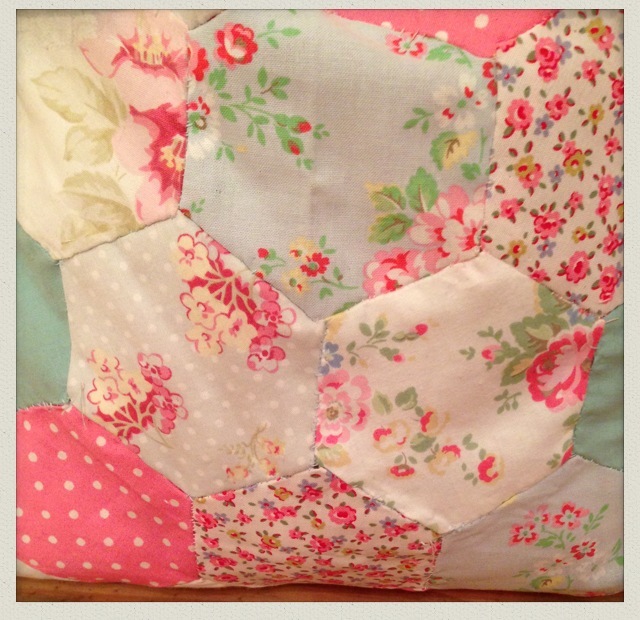 Simply fold 10 x 10cm squares in half, over a piece of ribbon (I used ric rac from an old skirt) and pin down. You could stitch lace around the edges too, by pinning in place before machining it. 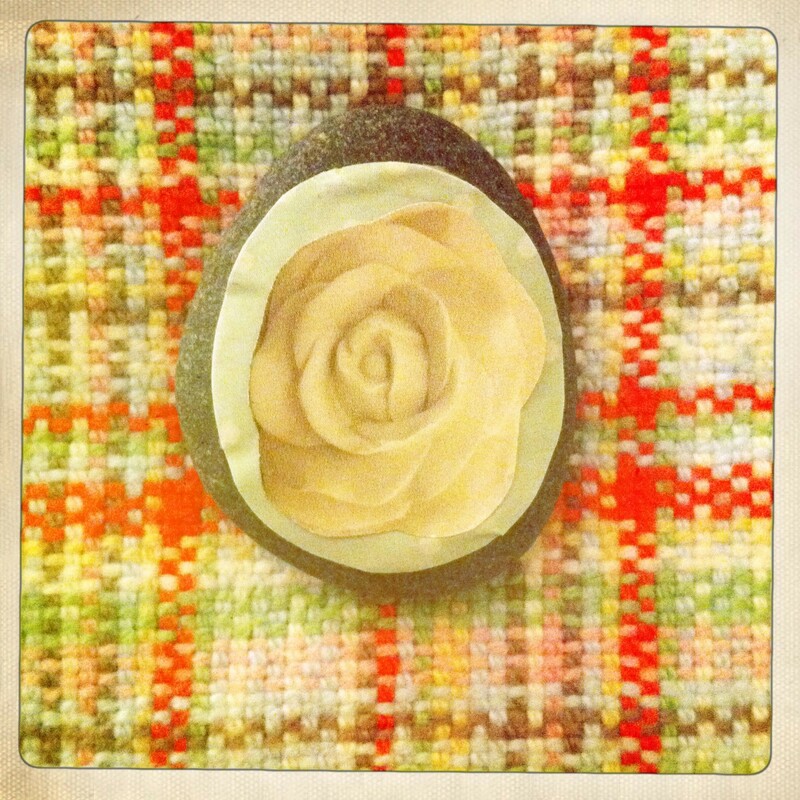 These coasters are really simple to make and a lovely way to create something unique for your home. 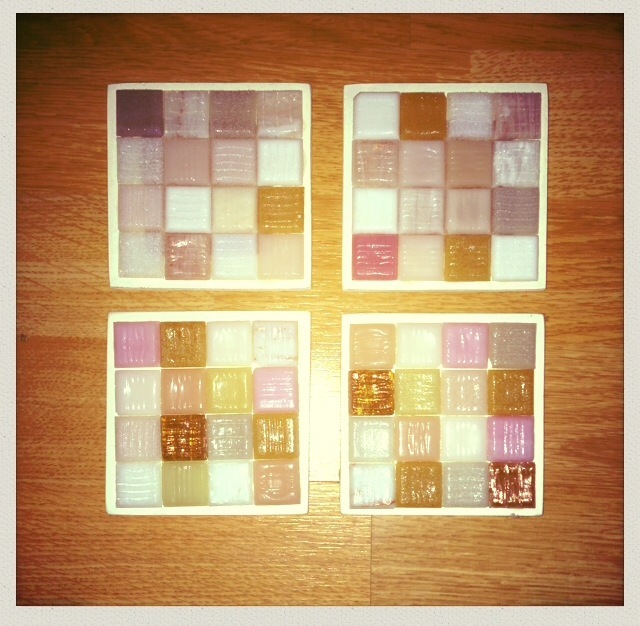 They are also a really easy way to use up mosaic tiles. 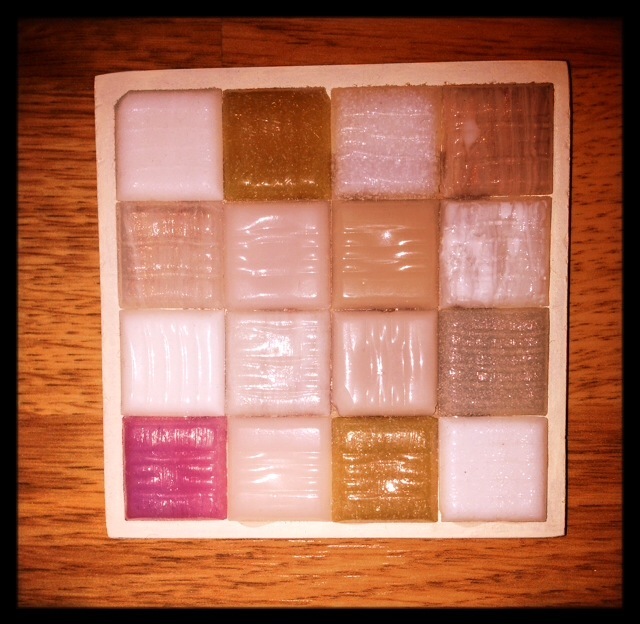 You’ll need some square wooden coasters (you can buy these from most craft shops), some mosaic tiles (1.5 cm square), PVA glue and acrylic paint. Simply paint the wooden coasters with your base colour and allow to dry. Then plan out how you want your tiles to appear on your coasters – I chose to use similar colours for each coaster, but to create a mismatching design. 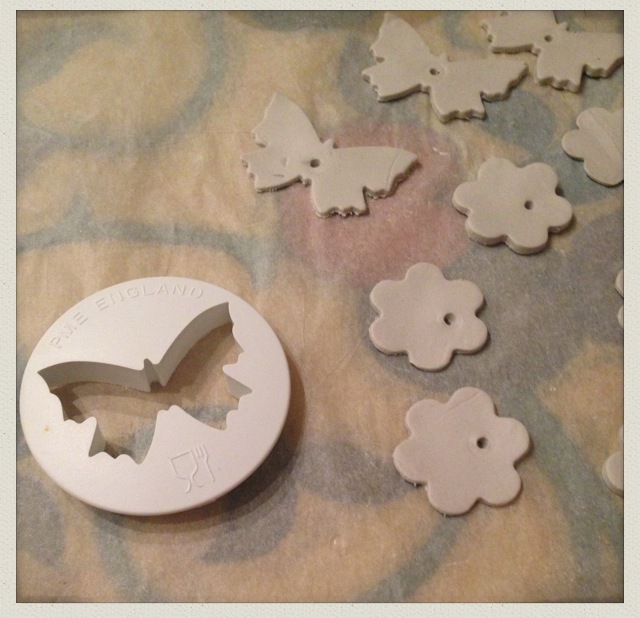 Once you have decided on your pattern, glue the tiles down, with the ridged side facing up. This is the opposite to how you would usually use them, but creates a good grip for mugs and cups. 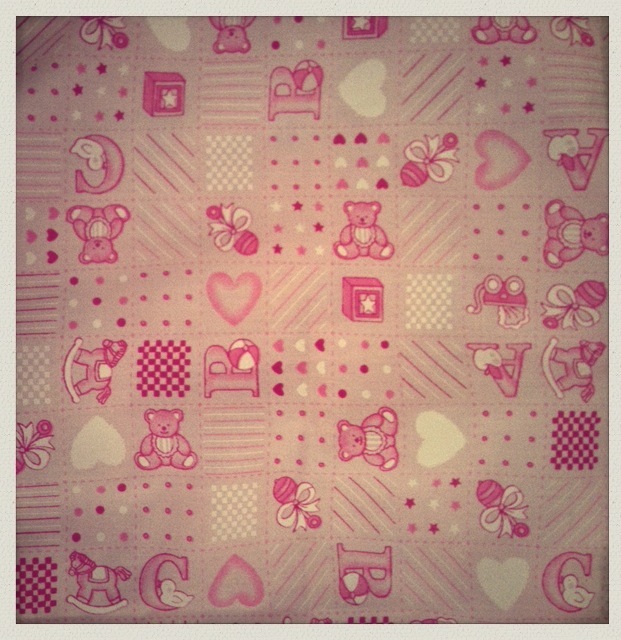 I went to a surprise Baby Shower at the weekend and made a cot quilt for the mum-to-be and bump. 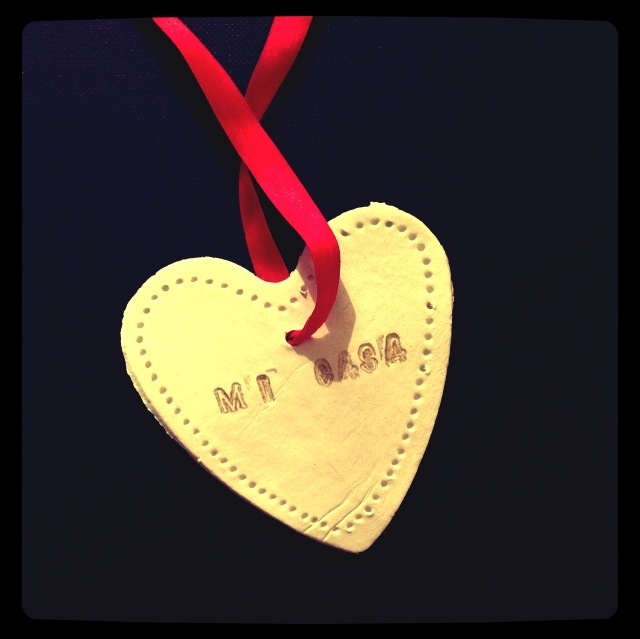 It was really fun to make and made a lovely gift for them both. 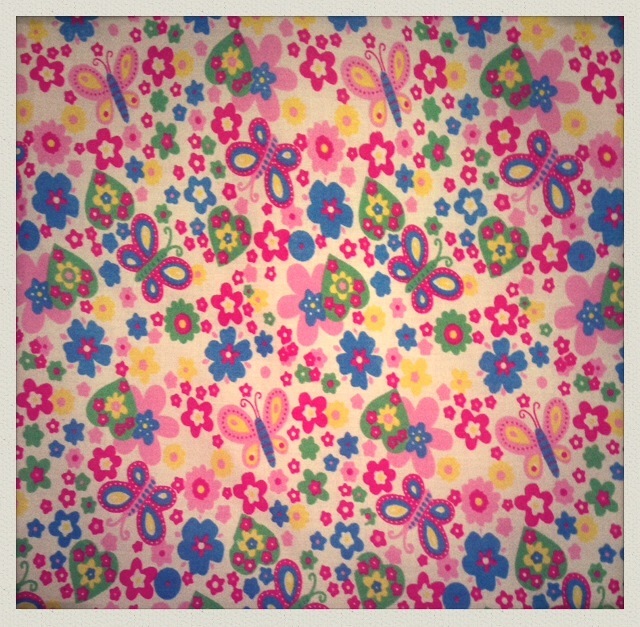 Measure out 2 x 32″ squares of fabric (my friend already knows that she’s having a girl, so I chose two fabrics which were pretty and floral) and hem each of them. Then, layer the fabric (with the right sides of each piece of fabric facing out) with a 30″ square of wadding in between and pin together. Then stitch the fabrics together, using a simple running stitch on a sewing machine. Finally, measure and mark out a second square, two inches from the edge and machine stitch again. If you ever used to use acrylic paints at school, you will know how impossible they are to get out of clothes following an unfortunate spillage. 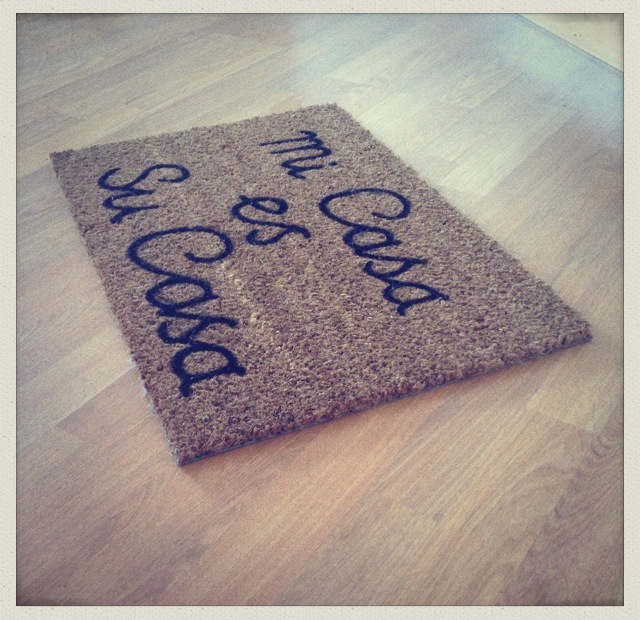 This staining quality is rubbish for school uniforms, but great for creating your own personalised door mat! I bought a plain coir door mat from Sainsbury’s for £5 and I already had some black acrylic paint to use. You could use any colours, but I think black works well to create an effective contrast. To prepare the mat, give it a good brush over to get rid of any loose fibres. Then simply paint your desired design on. If you are confident painting free-hand, then just start painting. If you are a bit unsure, you could use chalk to sketch out an outline, or use masking tape to map out a pattern and then fill in the blank spaces with paint. 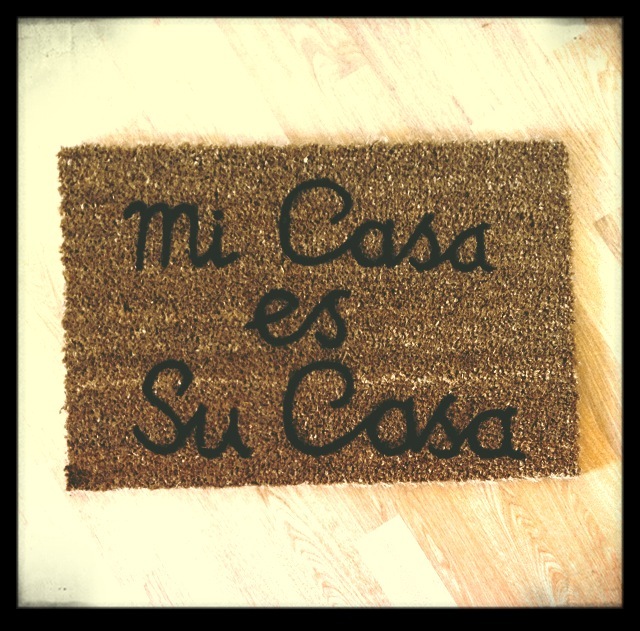 Leave to dry for about an hour and there you have it – a quirky, unique doormat, which will welcome people in to your home! 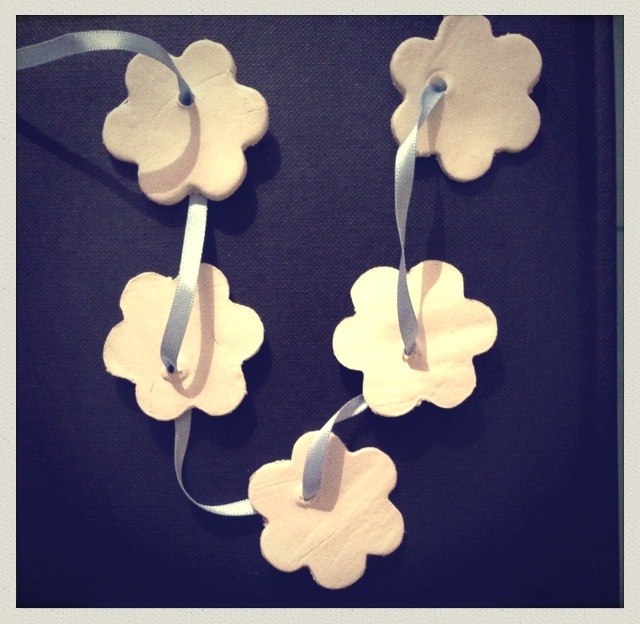 These beautiful gift tags and garlands are really simple to make from air-drying clay. I used Das Modelling Clay (only £3.99 for 1kg on Amazon). You will need: air drying clay, baking paper, a rolling pin, a sharp knife, a range of cookie cutters, a skewer, stamps and ink optional. Simply roll out the clay between two sheets of baking paper (to prevent marks or cracks and to ensure a smooth surface) to a thickness of about 4-5mm. 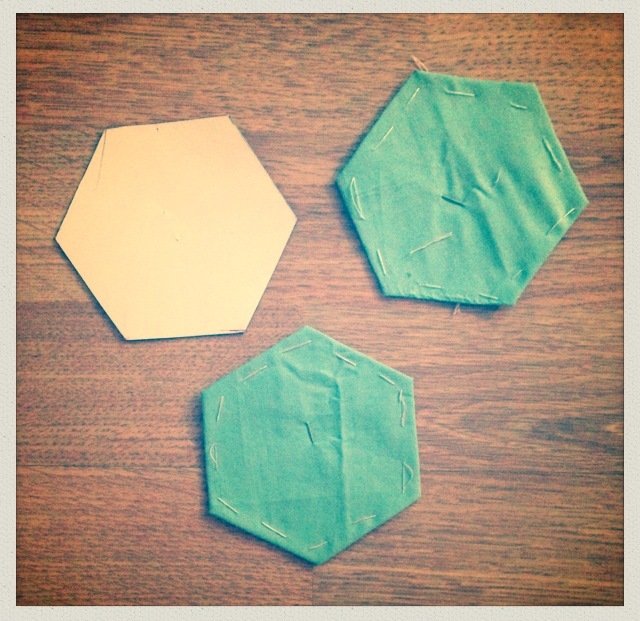 Then, cut out different shapes and use your tools to create different patterns. 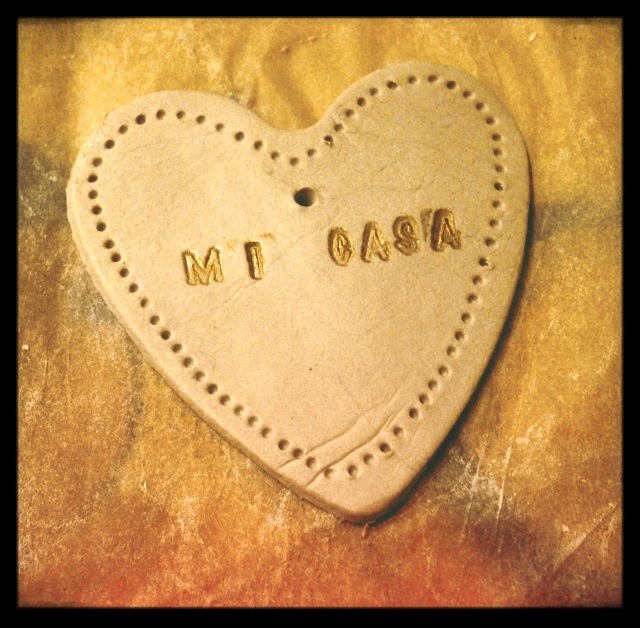 Play around with dots, stripes etc., even stamping names or messages into the clay (either with dry stamps, or with ink to create different effects). Use a skewer to pierce a hole if you want to tie string through them. Then leave to dry! They should take between 24-48 hours to dry. 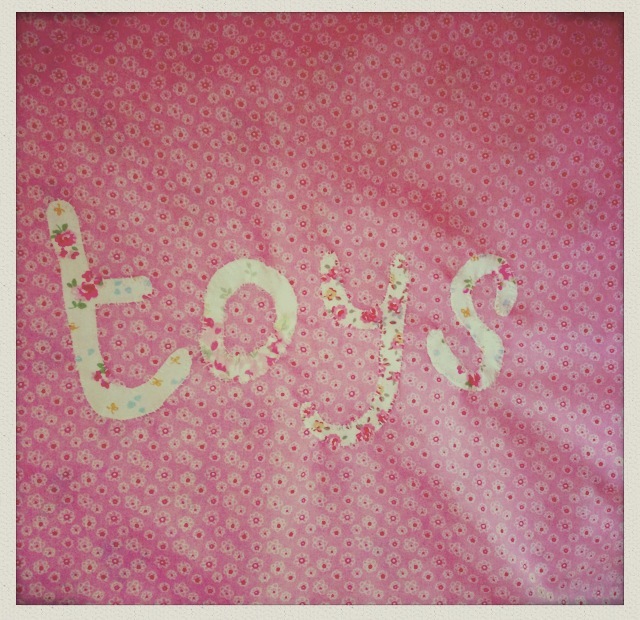 When dry, you can jazz them up with ribbon, stick-on letters, or even paint. Or play around with layering them up to create different effects. I bought some really pretty fabric the other day and have been longing to have a go at turning it into something gorgeous. I was also looking for a much faster project than the Honeycomb Patchwork Bag as that was quite a long one! You don’t have to line the bag, but I wanted to use a contrasting fabric for a stronger bag and a prettier effect. Measure two pieces of fabric (just one if not lining) at 20” square on the fold (so fold the fabric in half so that you end up with two piece 20” x 40”). If you want to include any applique, now is the time to do it. 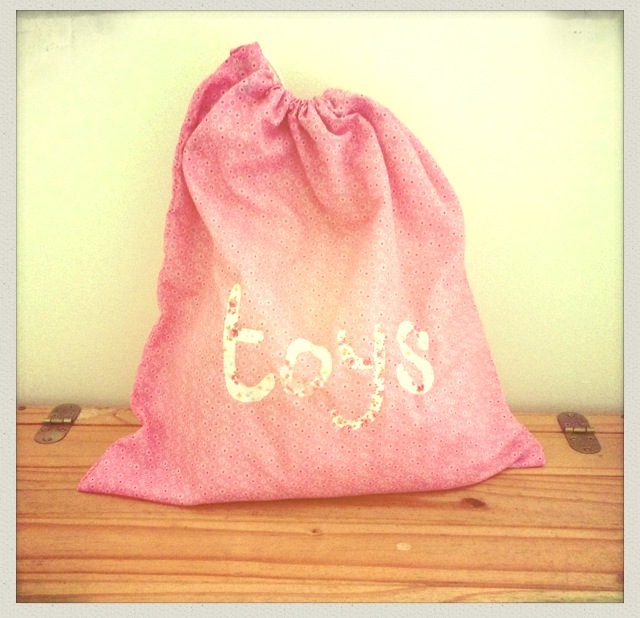 I’ve sewn the word ‘toys’ onto this bag, but you could sew initials, names, other words (such as ‘laundry’, ‘P E Kit’), or shapes (flowers, stars, hearts etc.). 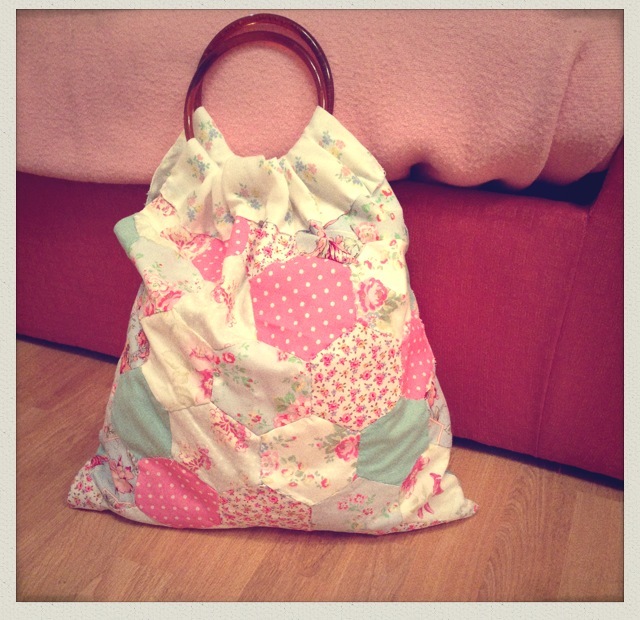 I used different floral fabrics which would stand out against the pink background and hand-stitched them to the bag fabric. Fold the fabric (for the bag, not lining) so right sides are facing and the fold is along the bottom. Machine both sides together at the edges, leaving 2 inches free at the top. Then turn the right way out. If using lining, repeat the above process, but leave 1 inch at either side before sewing the sides together. Slip the lining inside the bag and line up both pieces. Trim the lining so that the outside of the bag can fold in and over the lining. Double hem and pin the bag fabric to the lining. Machine stitch, so that you are left with a fabric ‘tunnel’, through which the cord will go. Repeat on both sides. Finally, thread the cord through the ‘tunnel’ at the top. I found it easiest to thread the string through the fabric by attaching it to a safety pin and then shuffling the safety pin through the fabric. If you have a knitting needle, that might work too. You can play around with the designs and sizes – smaller bags would make lovely gift bags for a posh party, or could be popped into suitcases to separate dirty laundry from the rest of your packing. 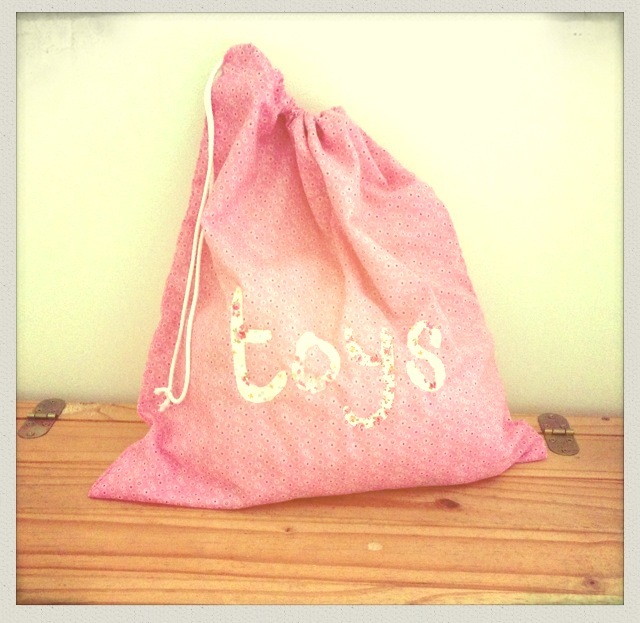 There’s a lovely idea for turning pillowcases into drawstring bags on this blog. To use a cooking metaphor, in the world of craft, this bag is more of a roast dinner than a microwave meal: lots of preparation, different pieces coming together at different stages and a very lengthy process! However, the rewards are tremendous! I have never considered myself much of a sewer and I feel intimidated by sewing patterns, but I found this pattern in a sewing book and actually managed to follow it! 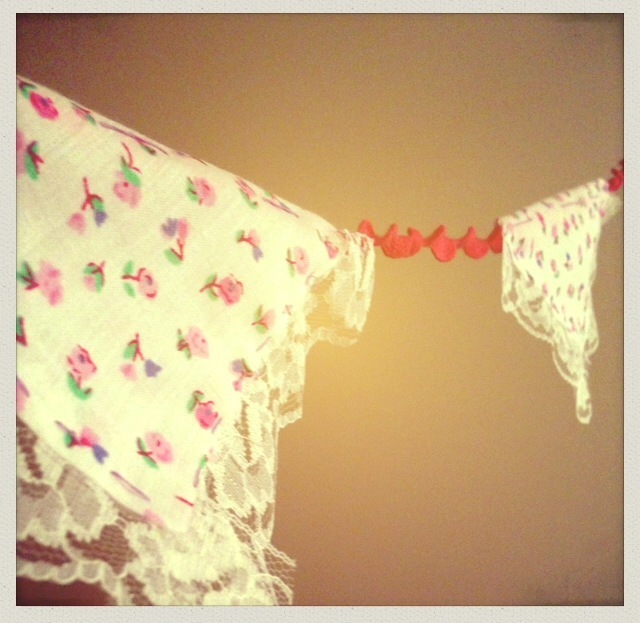 This is a brilliant way to use up scraps of old fabric or to create something memorable using your favourite patterns. You will need a whole range of hexagons, so think carefully about your colour combinations. I chose to use fabrics which were predominantly pink, blue or white, but you might want to mix a variety of colours for a bold, hotch-potch feel. 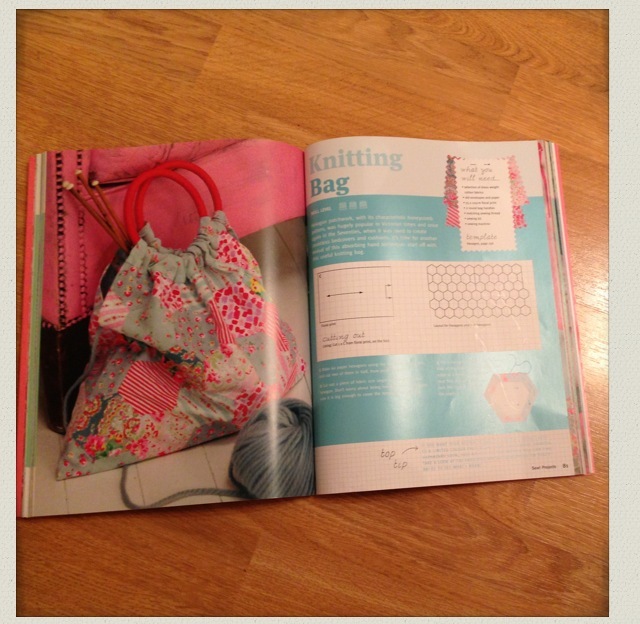 Due to copyright, I can’t properly reproduce the full bag pattern here, so for full instructions, see the pattern and instructions in Cath Kidston’s ‘Sew’ book. 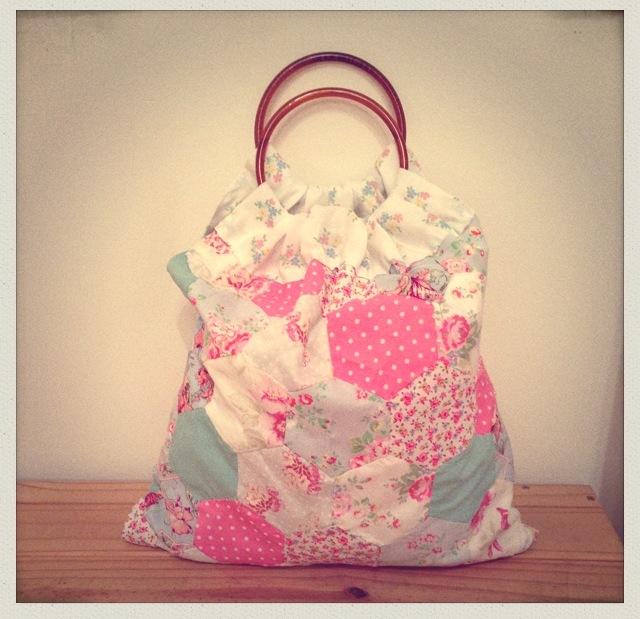 In the meantime, here are a few free patterns you can download to make your own pretty patchwork bag: Kiwi Quilts, Mrs Biddle’s Bits And Bobs, My Poppet. 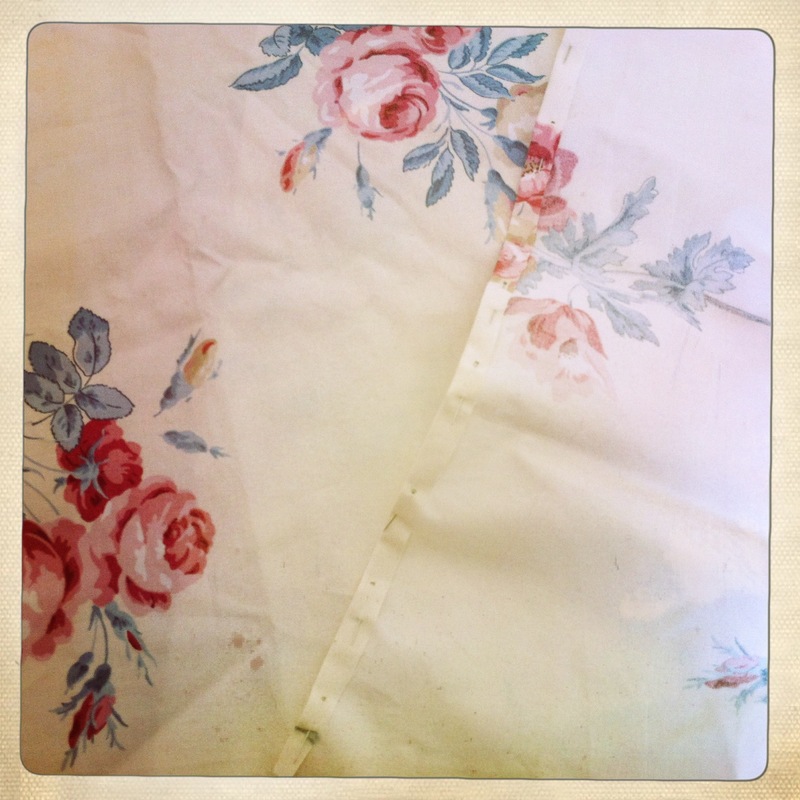 I found this gorgeous floral fabric in a Charity shop when I popped into town the other day and couldn’t resist buying it. 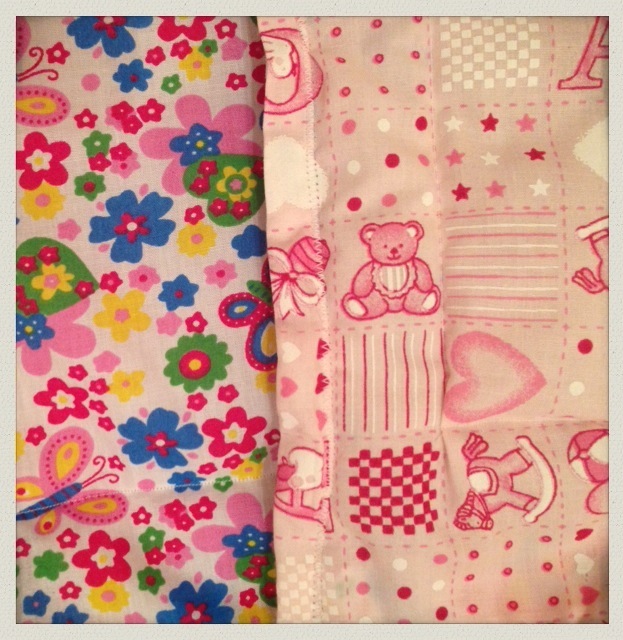 Look out for pretty fabric in all sorts of places – this was a brilliant find in a charity shop. 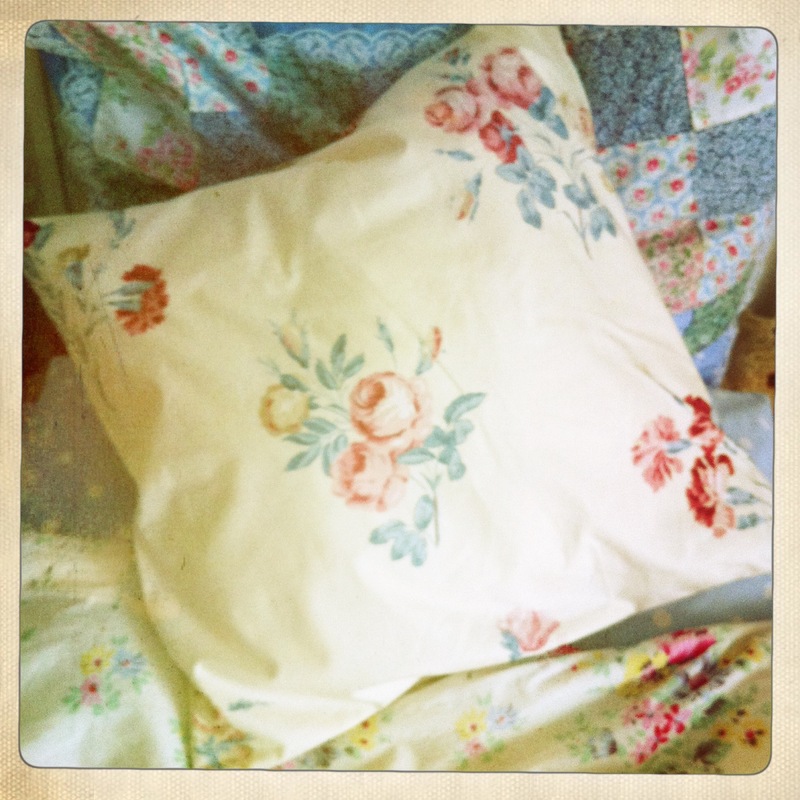 I then spent a very enjoyable afternoon turning it into this lovely cushion cover. 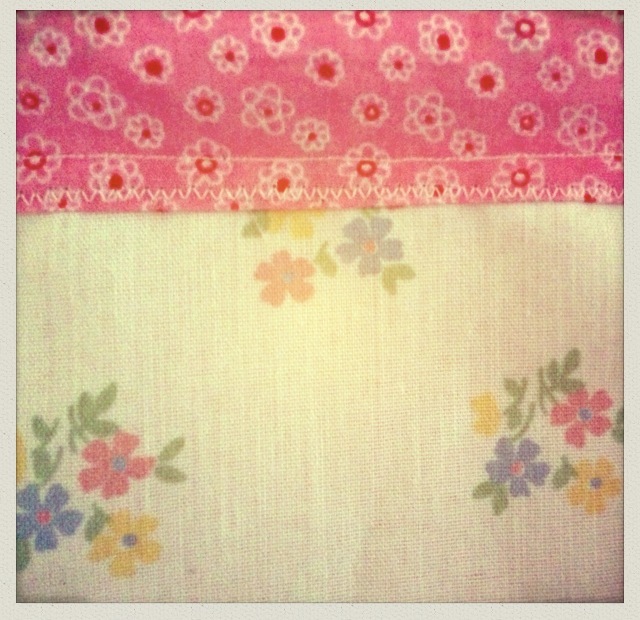 I am by no means confident with a sewing machine. In fact, I have had mine for less than a year and, until last weekend, I hadn’t used it since February. However, this was such a simple job that even I managed it! I measured the cushion inner that I had and added an additional 5cm onto each measurement. I then cut out a square of fabric based on these measurements. I wanted to create a cushion with a button fastening, so I cut two smaller rectangles (the same width as the square, but 2/3 of the length) to form the back of the cushion. 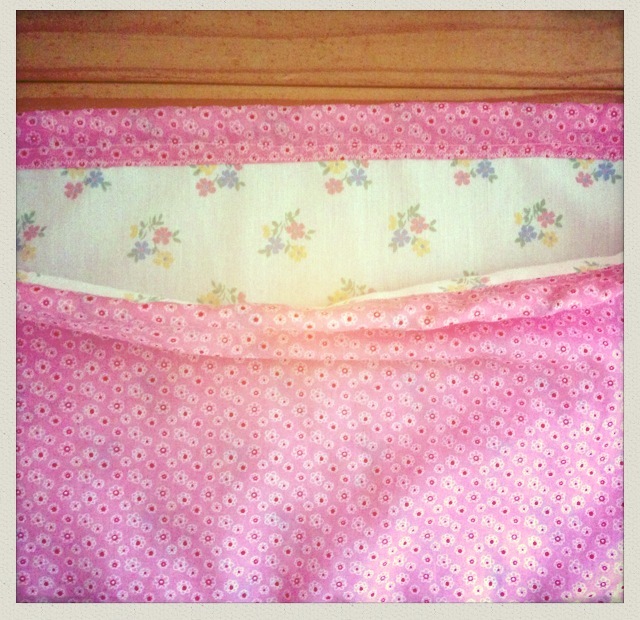 I pinned and hemmed the pieces and joined them together, leaving enough room to insert the cushion inner. Then I marked out where I wanted my buttons to go and, luckily, my sewing machine has a button-hole setting, which made that particular task much easier! If your sewing machine doesn’t have such a setting, measure your button, sew a short row the length of the button, move the fabric sideways 0.2 cm and sew a parallel row. Then join these two rows at the ends and cut between your stitches. 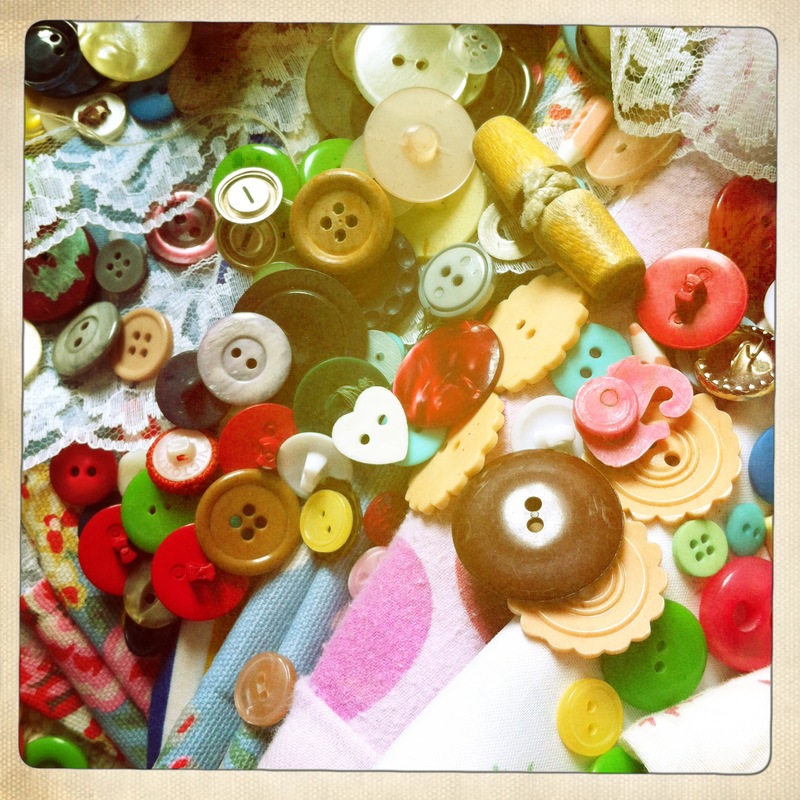 The final task was sewing the buttons in place. Et voilà! If you don’t want to bother with the button fastening and just want a closed-in cushion, simple cut 2 identical squares, pin right sides together and machine 3 and a quarter of the sides together. 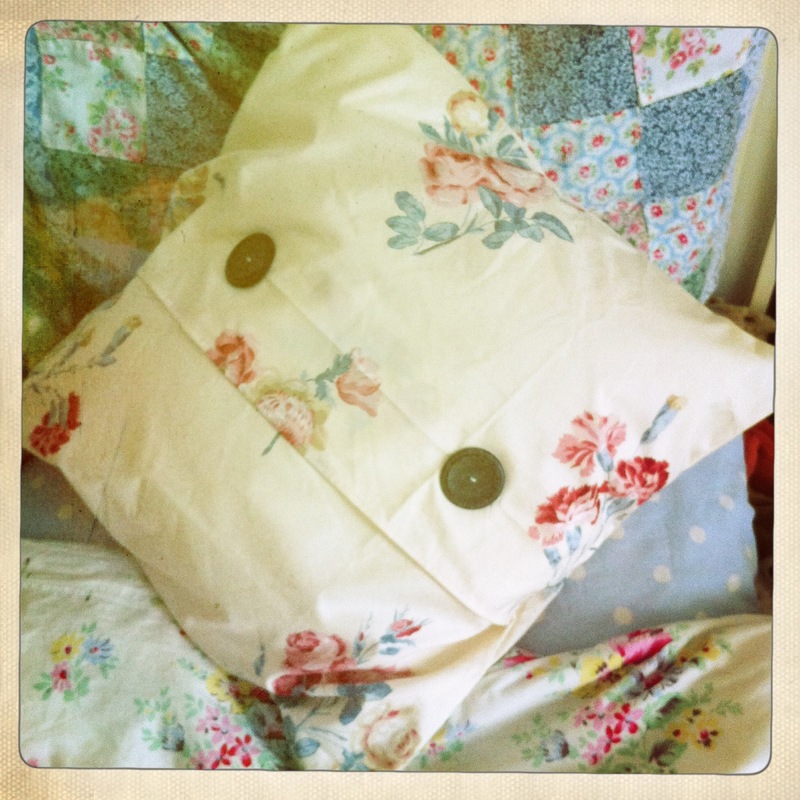 Turn the right way out, tuck the cushion inside and hand-stitch the cushion closed. Simple! 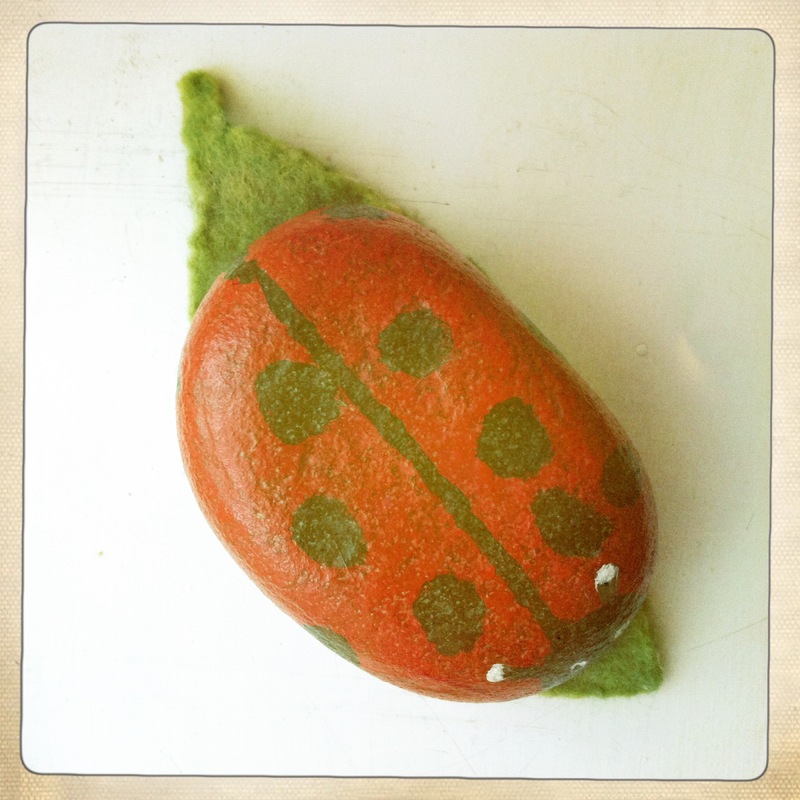 This is a really simple and inexpensive way to make attractive paper-weights or place settings from pebbles or stones. 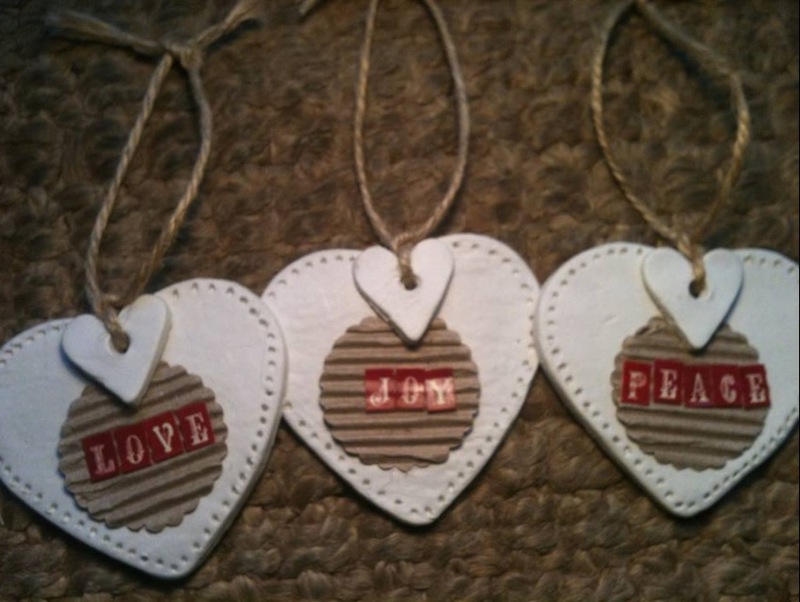 Use Tippex or acrylic paints to write or paint your design – the simpler, the better! Or cut out images from magazines or vintage catalogues (or use fabric scraps) and layer them up to create a découpage effect. 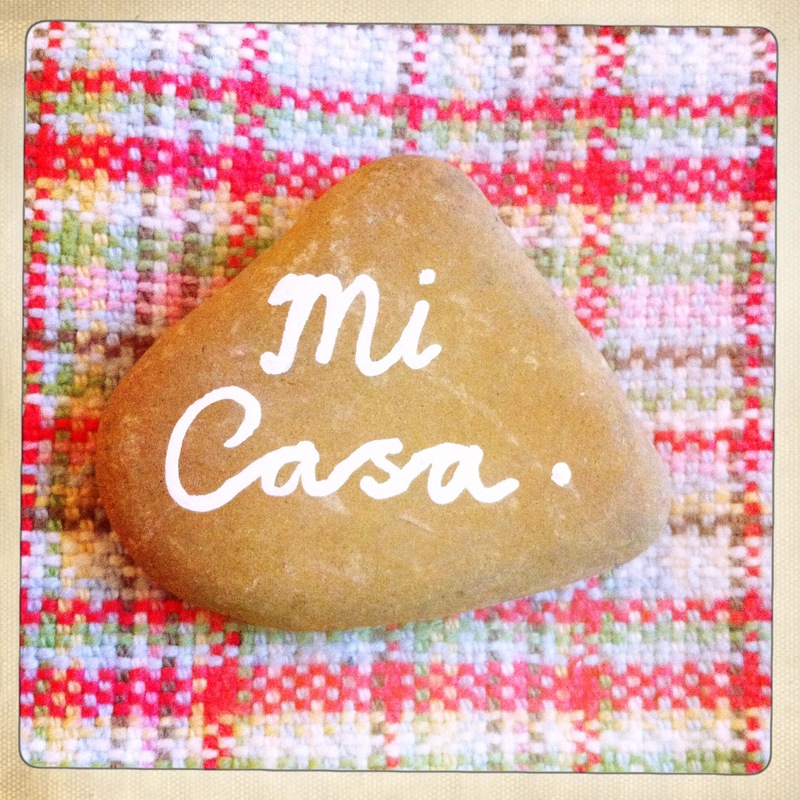 Use Tippex or paint to write inspirational words or phrases onto heavy stones and create paperweights. 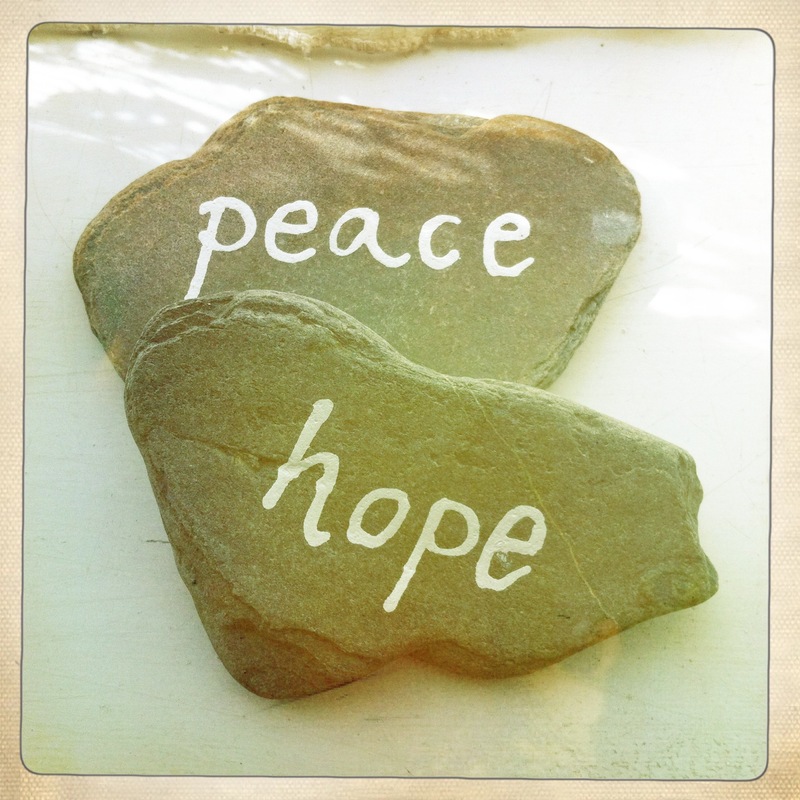 Create personal messages for unique paperweights or place settings. 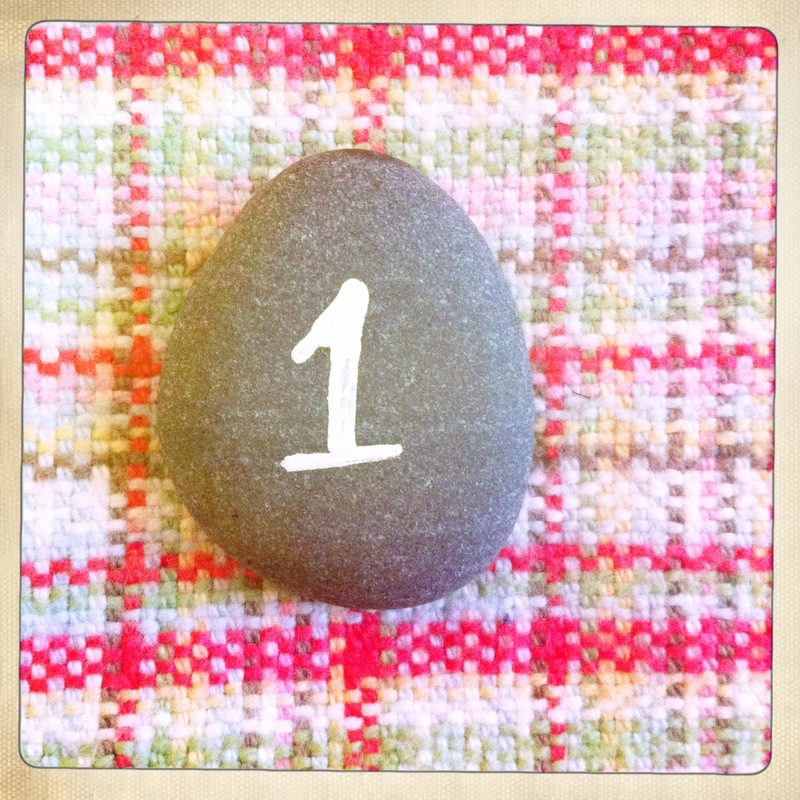 Write numbers onto smaller pebbles to use as place settings or to label tables at a wedding breakfast – this works especially well with a coastal theme. 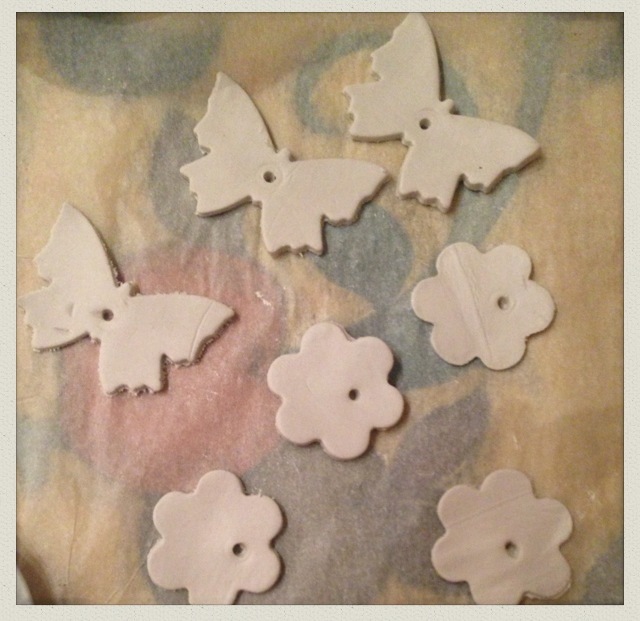 Cut out different images and layer them up before using PVA glue or clear nail varnish to seal it. Choose a heavy, oval stone and make sure it is clean (a damp cloth will do), before using acrylic paint to create your design. The leaf underneath is made from two pieces of green felt cut with pinking shears and superglued together. Once the paperweight is dry, use superglue to fix it to the leaf, et voilà! A quirky, individual paperweight to keep all of your papers in check.